We thought you might be interested in knowing more about us than just our credentials or the string of letters behind our names. So we each have come up with some background information about ourselves. “As the elder of the group, I've been around for a long time and had a number of careers: newspaper reporter; artist and writer; temporary typist in NYC that took me into many fascinating jobs, like the Museum of Modern Art and typing a manuscript in polish at Columbia Univ. I taught journalism, worked as a hospital administrator in Phila., and ran a framing business that catered to art galleries and collectors. "My therapy career began in 1991 and has been the most fascinating one of all. I love hearing the stories of people’s lives and family histories, and it is a special privilege to be allowed to share them. "And now I can add webmaster to my list, something I never expected to do. By chance, I stumbled on the company that hosts this site (Site Build It) and learned how to use their plug-in system to build it. (If you would like more information on how to build your own website, click here, or on the link at the bottom of the page). "In my spare time, I go sailing which is a form of meditation and therapy for me. Nothing like the sea to keep your mind on the present. 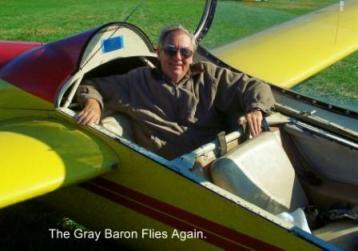 Here is a recent photo after my first flight in a glider. Fantastic ride!" "My first job was working as a therapist in the homes of at-risk children, and I learned more there than in school. Later, I went into private practice, which I love. "I have a special affinity for adolescent girls and women in transition. One of the things that became clear to me was how much trauma played a part in women’s histories. So I became trained in a trauma treatment called EMDR (Eye Motion Desensitization and Reprocessing) which I have found to be a powerful tool for dealing with all kinds of traumas. "I have a child of my own who brings me much joy, as well as lots of opportunities to practice my own parenting skills and learn the art of patience."